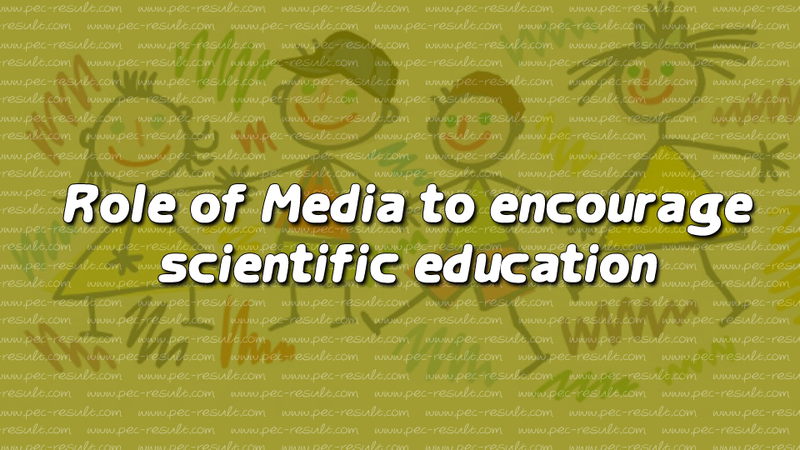 A board discussion on Role of Media to endorse science and scientific education in Pakistan was held at Mass Communication department of Forman Christian College University. This group discussion was arranged by Alif Aliaan, Pakistan’s campaign for education reforms and Forman Journalism Society. The reason behind organizing this occasion was to initiate a debate between the students of mass communication and journalism on media’s role on emphasizing science. Professor of Mass Communication at FCCU, Dr Mudassir Hussuain Shah, Adil Arshad Assistant Professor of Education at FCCU and Journalist Sye Moayeed Ali Jafri were members of the panel. The point of view of borad members was that media can take part in promoting systematic culture in our society. Meanwhile, they also know that public doesn’t demand such types of reports, so we cannot accuse only media. While addressing the participants, Adil Arshad said that educational discussion and understanding of science of a common person are not the same, thus educational institutes should take step to fill up the gap between these two. Moayeed Ali Jafri said western countries are using advertorials to promote mathematics and science through documentaries, dramas on different scientists and by various shows. This is an effective way to encourage learning through electronic media and we should also adopt it in our country. Regional campaigner of Alif Aliaan, Roohullah Gulzari highlighted the facts and figures of the current position of mathematics and science education in the schools of Pakistan. He collected the data from the newly issued report on Powering Pakistan for the 21st Century. The report is not satisfactory rather demonstrated the worse picture of education system in Pakistan. In this way the report illustrated the fact that there are no less than 22.6 million children who can’t afford to go to the schools. This is very alarming situation for our society and the government authorities should take this under their consideration. Furthermore, the schools in Pakistan, mostly public schools are generating very poor results related to science based subjects and mathematics. The 2016 results of Punjab Examination Commission (PEC) demonstrated very unfortunate result of grade 5 in the province of Punjab. The result showed that average scores in mathematics are 53 percent and for science it is 48 percent.